Hi lovely ladies! 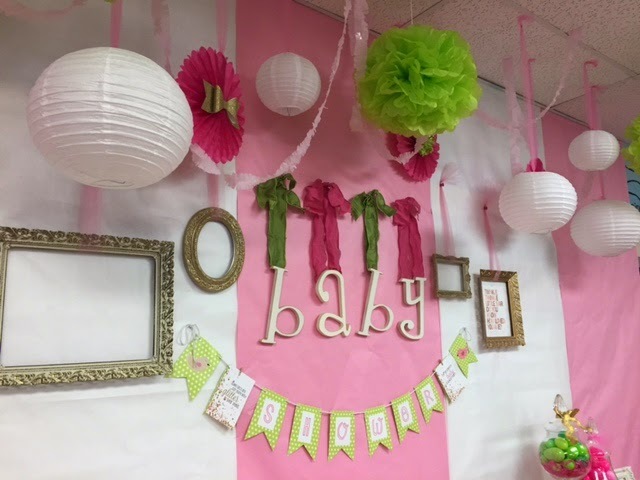 Today I’m super excited to share my photos from my three baby showers given for me by my sweet family, my friends, and a surprise shower thrown by my coworkers! 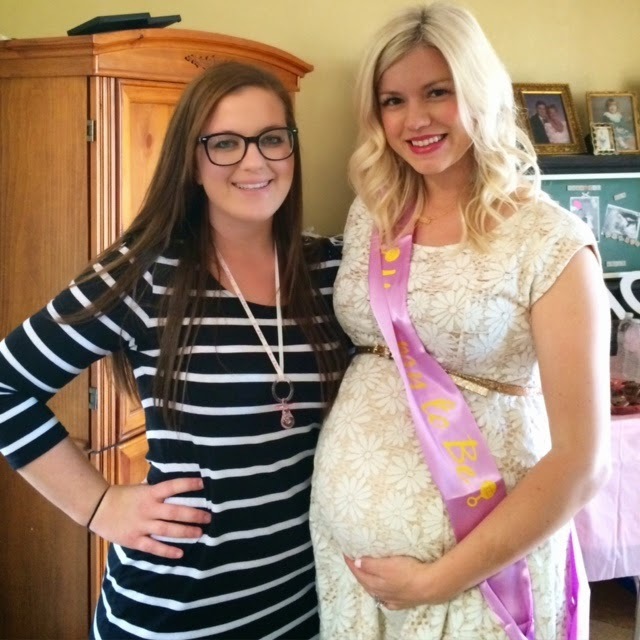 I am so blessed and thankful for each person that took part in showering my little one with beautiful gifts! 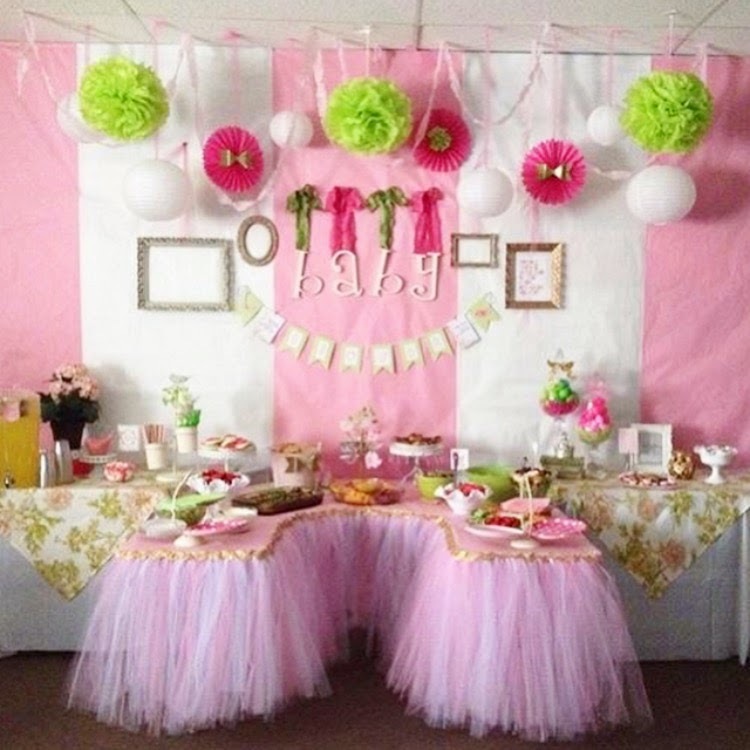 The inspiration for this shower was all things girly and of course, pink! 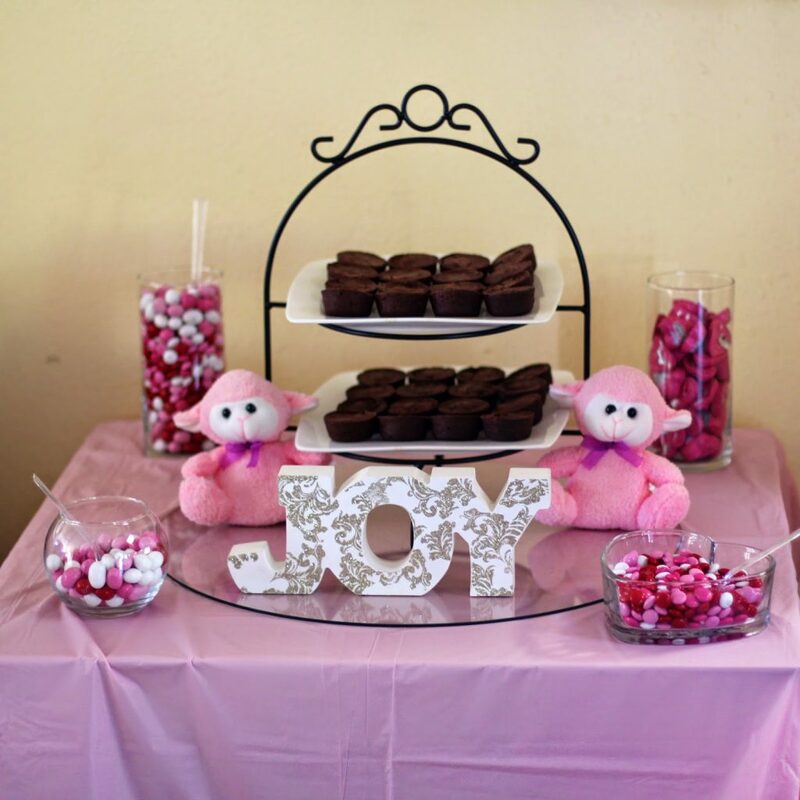 My two sweet friends Brittany and Cathy offered to throw this shower, and they did such a great job or organizing it! 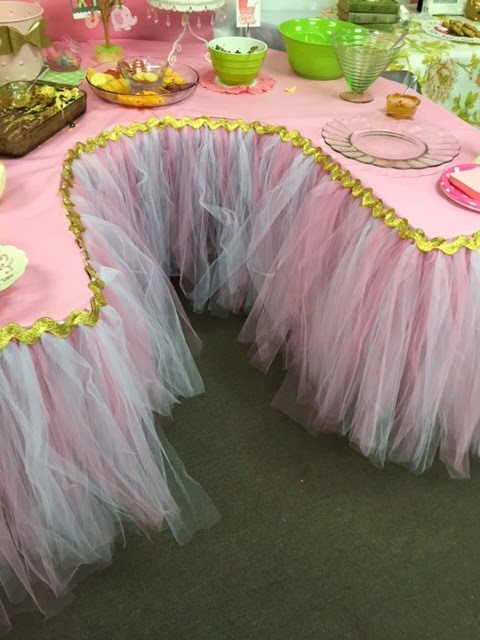 There were crepes, fruit cups, and a delicious cake! 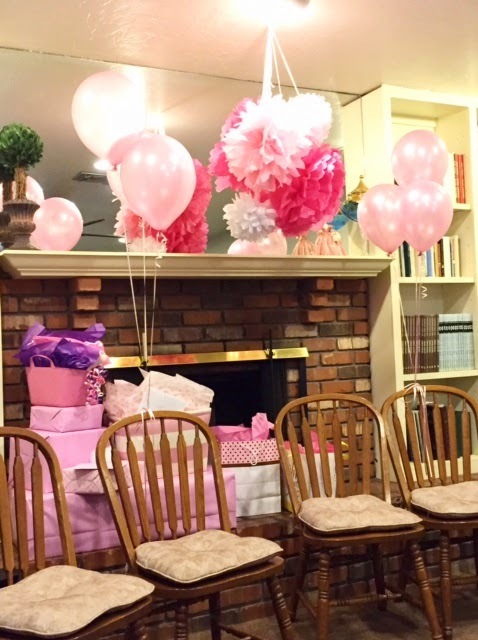 The turnout was amazing, and I was so thankful to have so many supportive friends join me in celebrating my little girl! Cathy did an amazing job designing the invitations! 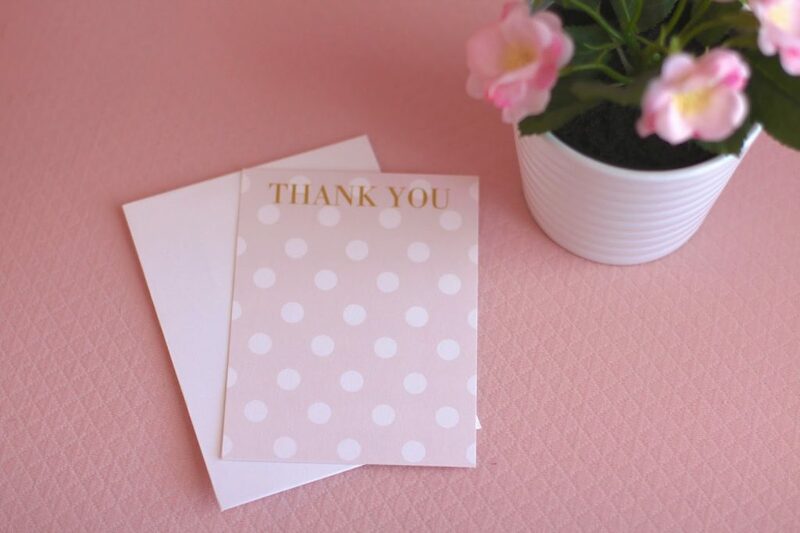 She used Tiny Prints and was able to completely personalize them, see proofs, and get them ordered, and sent out within about a week of creating them! I adore the pink stripes. 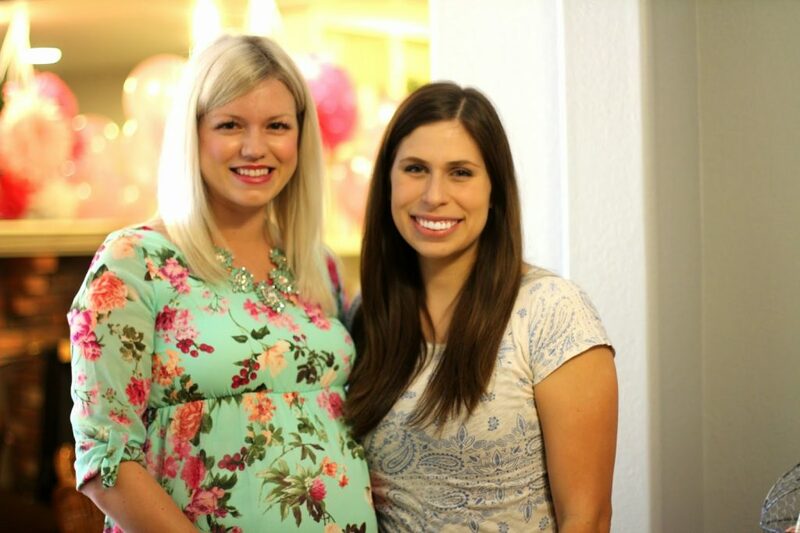 Click below to see photos from my other two baby showers! 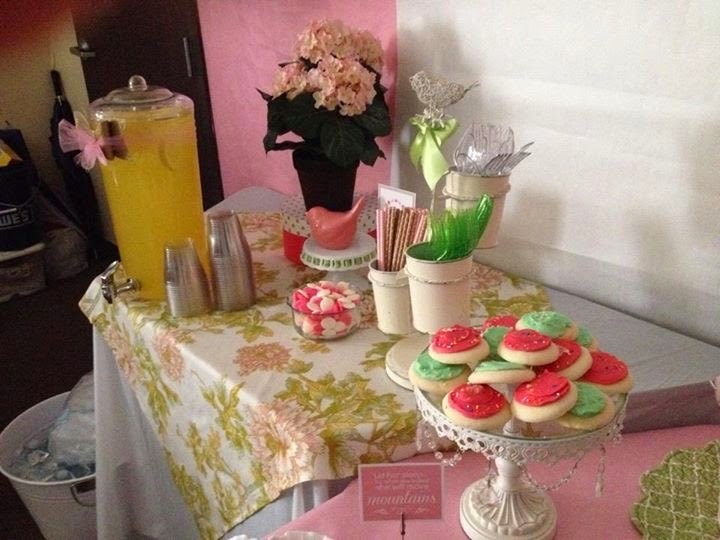 We used lots of pink for the decor at this shower too! 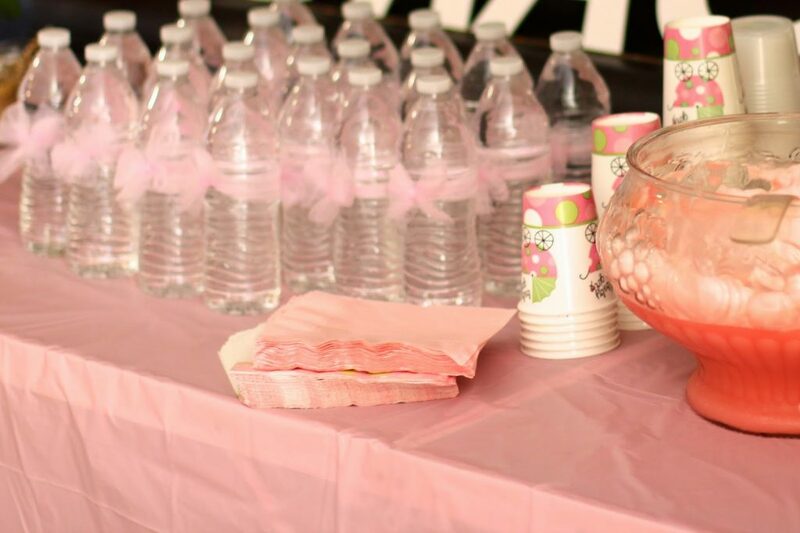 One of my personal favorites from this shower is the pink tulle bows on the water bottles! 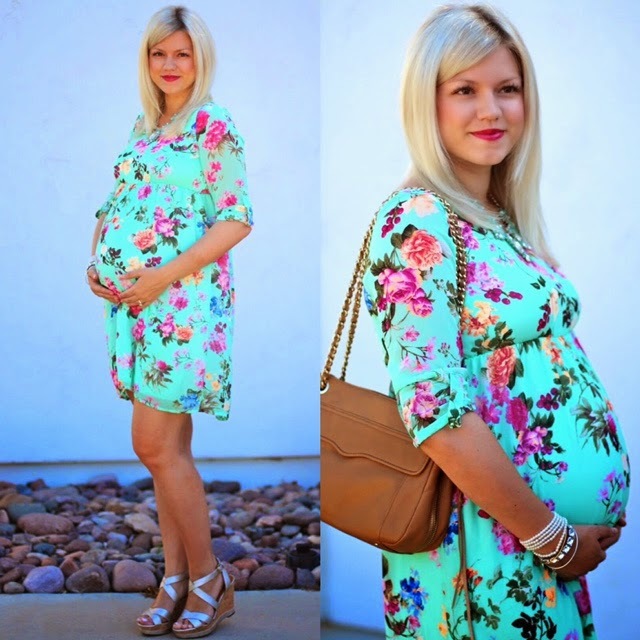 How cute and girly are those!?! 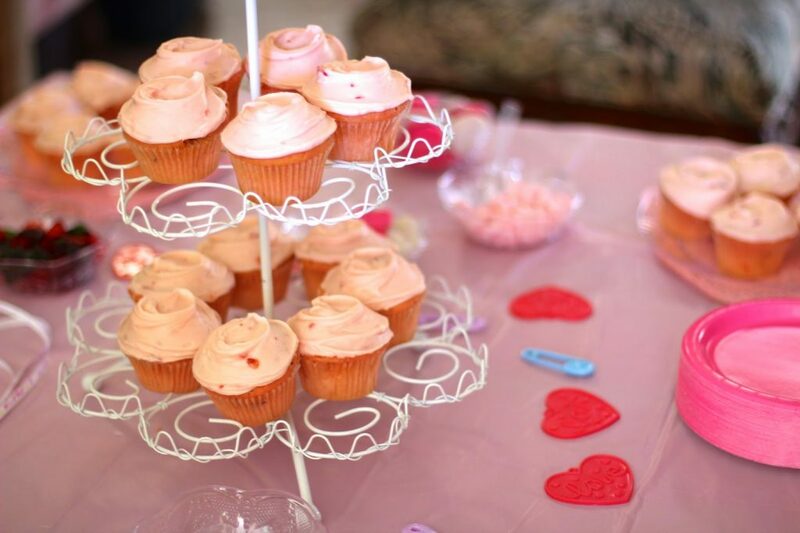 The pink cupcakes are from Frosted and they were to die for! 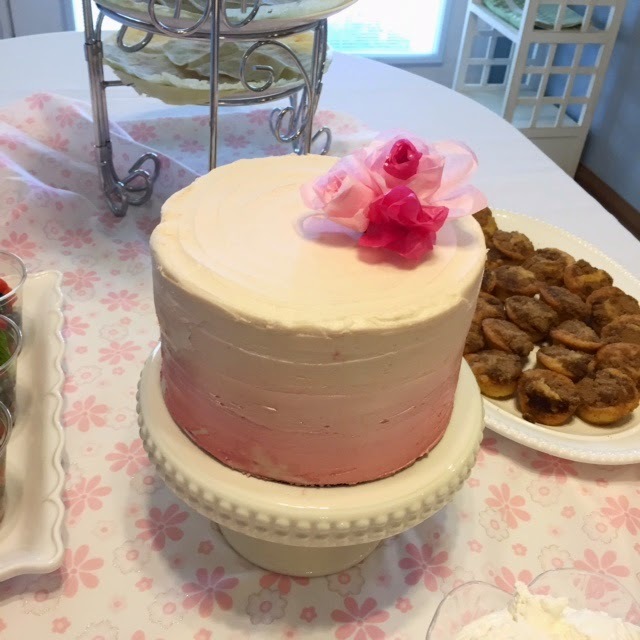 They were strawberry cake and had strawberry cream cheese icing! Yum – I must have eaten like three of them! 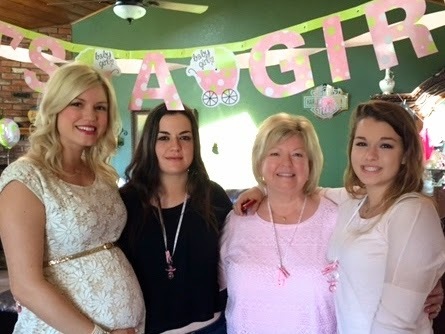 Lots of family and family friends were able to make it to this shower, and it was such a lovely time. 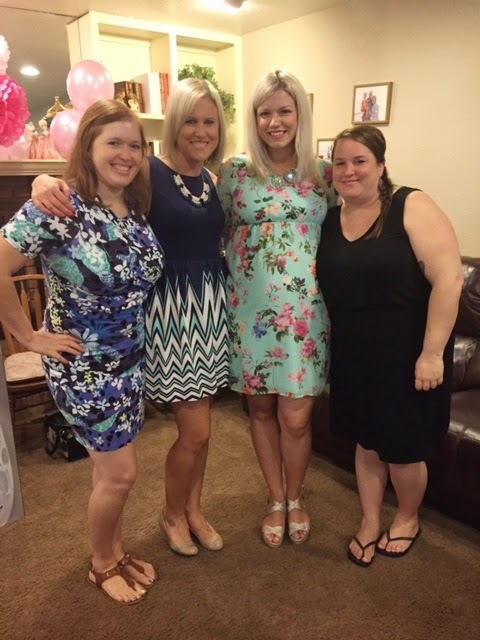 I had no idea that this shower was going to happen, and let me tell you I was SO surprised. It was my last day of work, and my principal called a staff meeting after school. 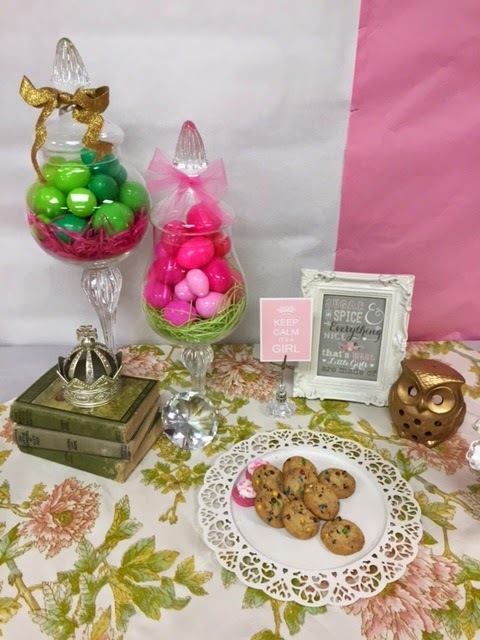 Since it was my last day, I didn’t expect to have to attend, but when I found out I needed to I grabbed my pencil and paper thinking I would take notes because it may be some useful information I could let my long-term sub know about, then I walk in and all of my sweet co-workers and principal are there with this GORGEOUS set up! I was completely in shock, and still can’t get over how absolutely breathtaking the set-up is! If you’re local and interested in knowing more about the wonderful lady styled this party, please email me and I can give you Afton’s info! I don’t even think she does it for a living, but I told her she needs to start! 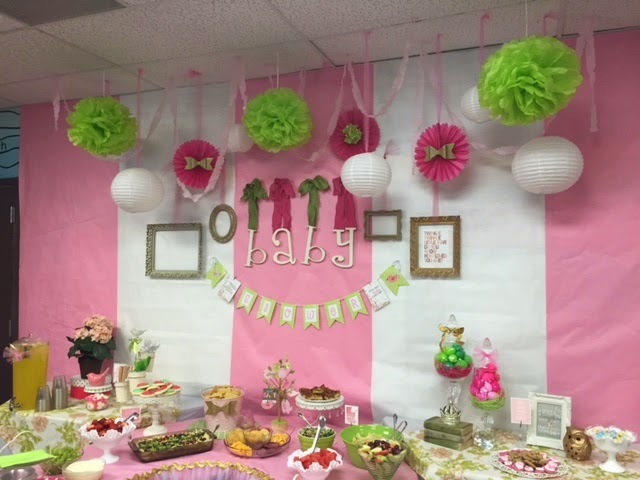 Thank you SO much to each and every sweet person that attended these showers, I love you all, and I’m so excited for you to meet my little one! You had two gorgeous showers. 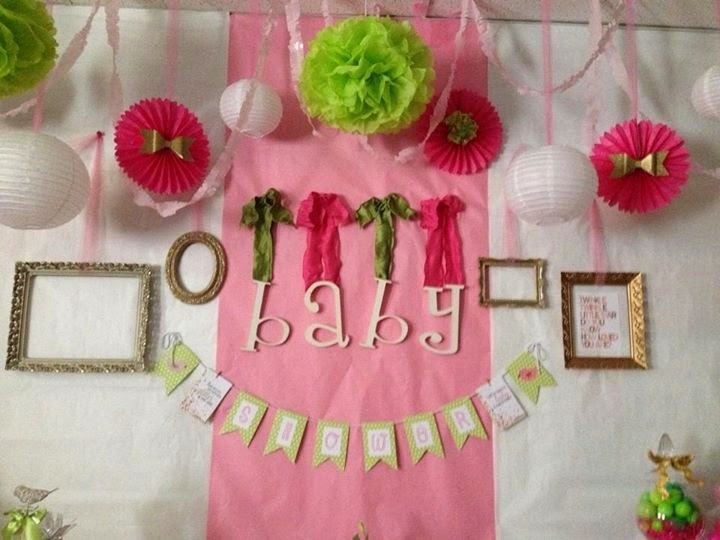 She will be a spoiled little princess. 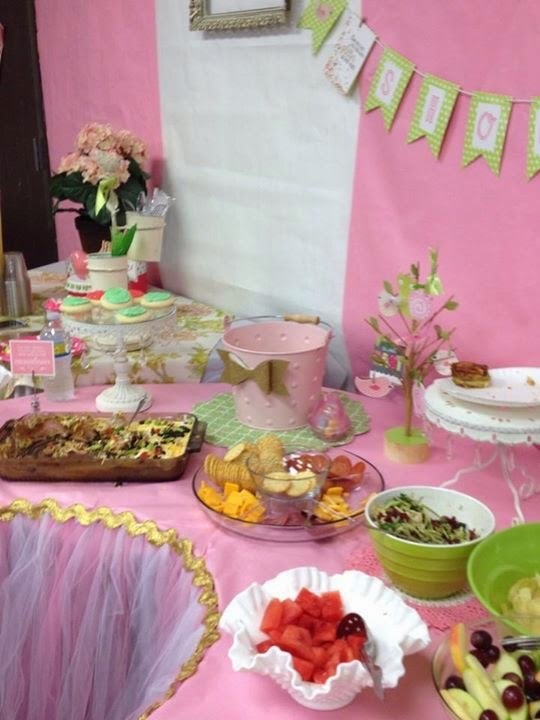 Everything looks so pretty, colorful and all the food and desserts are yummy. Love both dresses you wore, Elle. 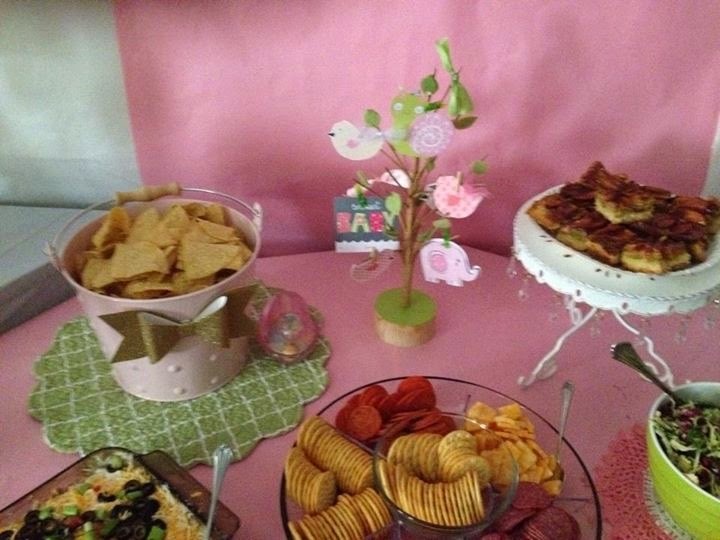 Both are such pretty florals and feminine, also. Totally your style! Enjoy these last few days before she comes and may it all be smooth and healthy for you! You look adorable, and so does your shower. So much love in that room!